← And the winner is…Fennel! The October 2007 issue of Gourmet (may she rest in peace) includes a recipe for fennel ice cream… at first glance it sounded about as delicious as chunks of raw meat in my coffee, but after reading mouth-watering posts of this recipe by Deb Perelman of smitten kitchen and Molly Wizenberg of Orangette I was determined to give it a try. 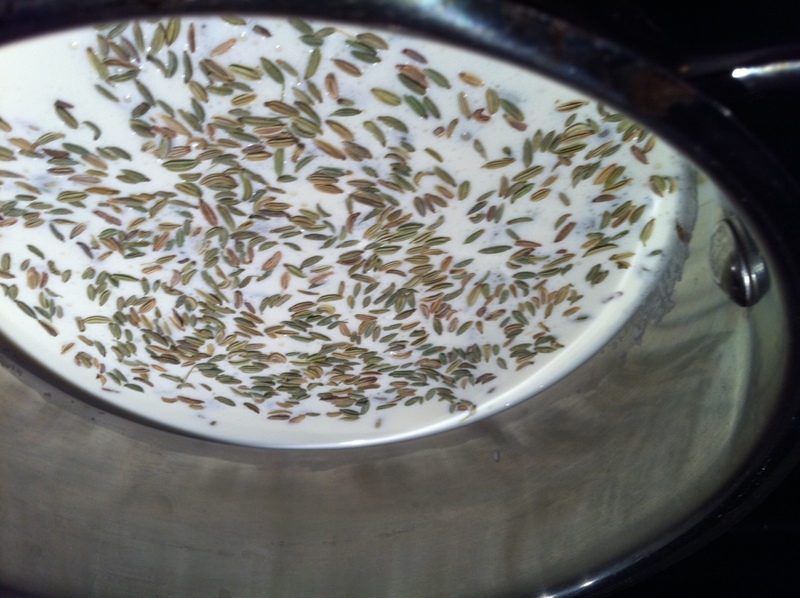 Bring the fennel seeds and cream to a simmer in a small saucepan. Cover, and let the mixture steep for about half an hour. 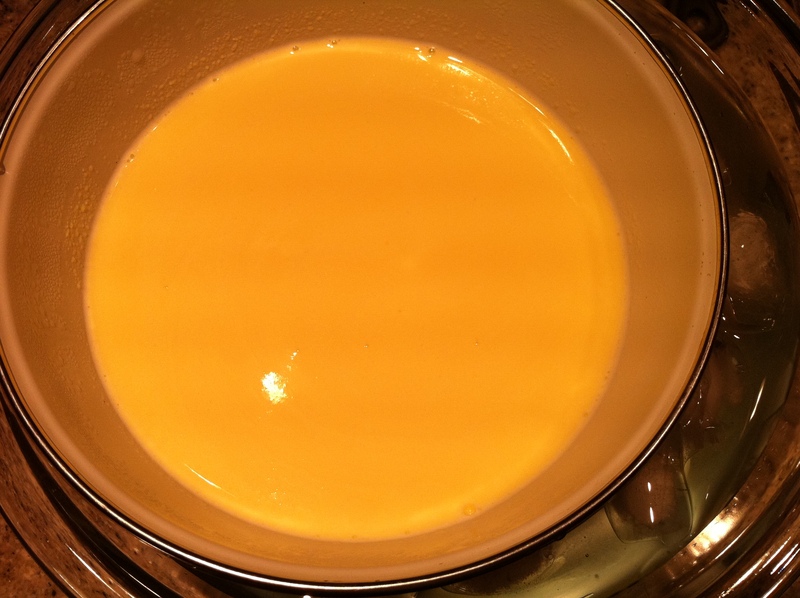 Meanwhile, whisk the egg yolks and 1/4 cup of sugar together in a large bowl. Next, put the remaining 1/2 cup of sugar, milk, and pinch of salt in a medium saucepan. Bring to a simmer, and then pour the hot milk mixture into the egg mixture slowly while whisking. Immediately return it to the saucepan, and cook until it becomes slightly thick (it will coat the back of a wooden spoon). Make sure you don’t let it boil by stirring frequently. Prepare an ice bath in a large bowl, and place a smaller (preferably metal) bowl inside of it. Make sure it is large enough that the custard mixture and fennel cream will fit. Strain both the custard and fennel cream into the bowl in the ice bath through a fine sieve. Chill the mixture thoroughly, stirring occasionally. 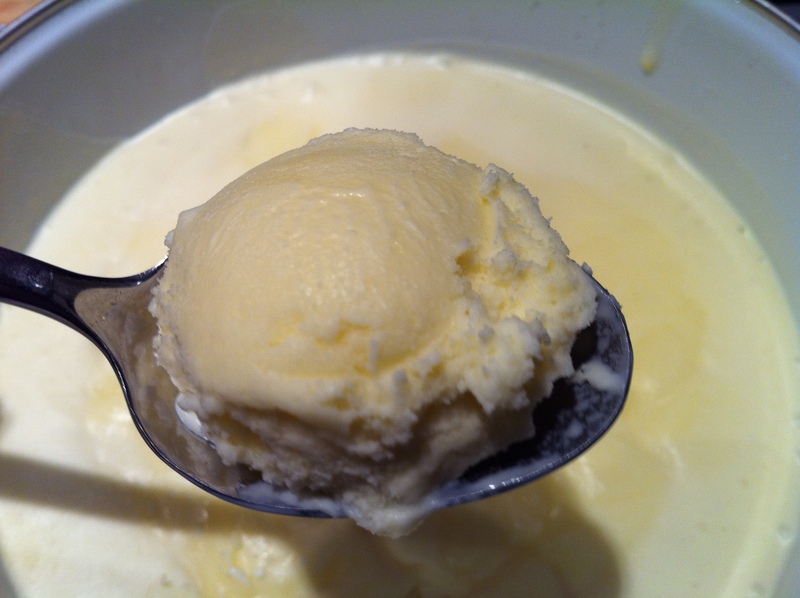 Freeze the chilled custard in an ice cream maker, then transfer to an airtight container and place in the freezer until it sets, about one hour. This ice cream is VERY tasty – it would pair quite nicely with a fruit crumble or crisp. The fennel flavor is subtle, but provides a very nice light, fresh contrast to the heavy eggy/creamy treat. This entry was posted in Eggs, Fennel and tagged cream, custard, eggs, fennel, Orangette, smitten kitchen, sugar. Bookmark the permalink.